If you had to pinpoint the biggest trend in fitness over the last few years, it would be high-intensity interval training, or HIIT. This super-efficient form of exercise is supposed to torch fat, help you build lean muscle, and spike your heart rate to achieve EPOC, or the afterburn effect. This all sounds great, except when you realize many classes and fitness studios that claim to be HIIT actually aren’t. NASM-certified trainer Corey Phelps said many fitness classes that claim they are HIIT are actually HVIT, or high-volume interval training. “A true HIIT workout means training at maximum capacity for 60 seconds and allows for a 180-second recovery,” she told POPSUGAR. “This ratio is designed keeping in mind the way the human body’s muscles perform at maximum effort and the duration it takes for them to adequately recover before placing a maximum demand upon them again.” If you’re working yourself at a true max capacity for these intervals, this also means you can get a more effective workout done in less time. In reality, many classes that claim to be HIIT don’t have that 1:3 ratio and don’t have you work at your max capacity for a full 60 seconds. 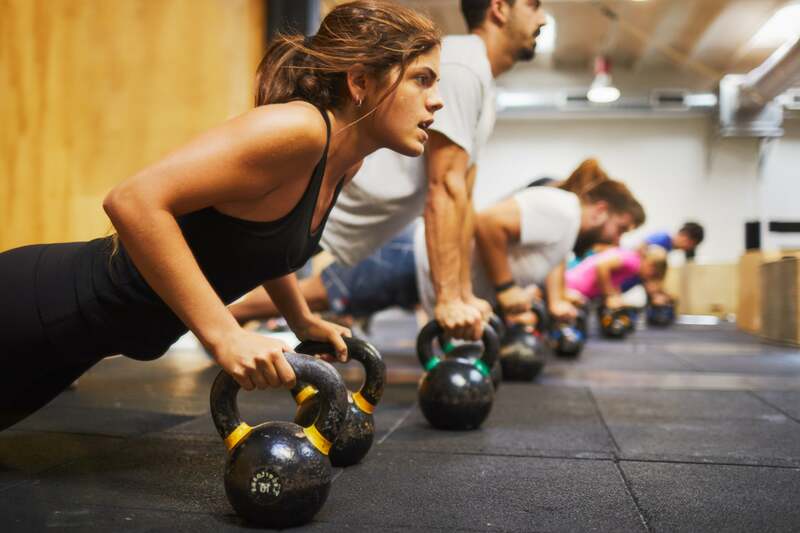 A HVIT class, on the other hand, works at about 60-75 percent maximum effort, and you can sustain it for much longer than you can an all-out exertion like in HIIT, explained personal trainer Hector Bones, ACE, owner of The PrivatGym in Philadelphia. This means you can work for longer periods of time and have shorter rests, unlike the 1:3 ratio of HIIT. Incorporating HVIT into your fitness plan is a great way to challenge your body and mix up your workouts. Personal trainer Christi Marraccini, NASM, Director of Talent at NEOU, told POPSUGAR that you can do HVIT one to three days a week, depending on your goals. She added that you want to make sure you’re not overtraining; high-intensity workouts where you put out max effort should only be done for 20-30 minutes at most. Curious to test it out? Here’s a bodyweight HVIT workout for you to try.